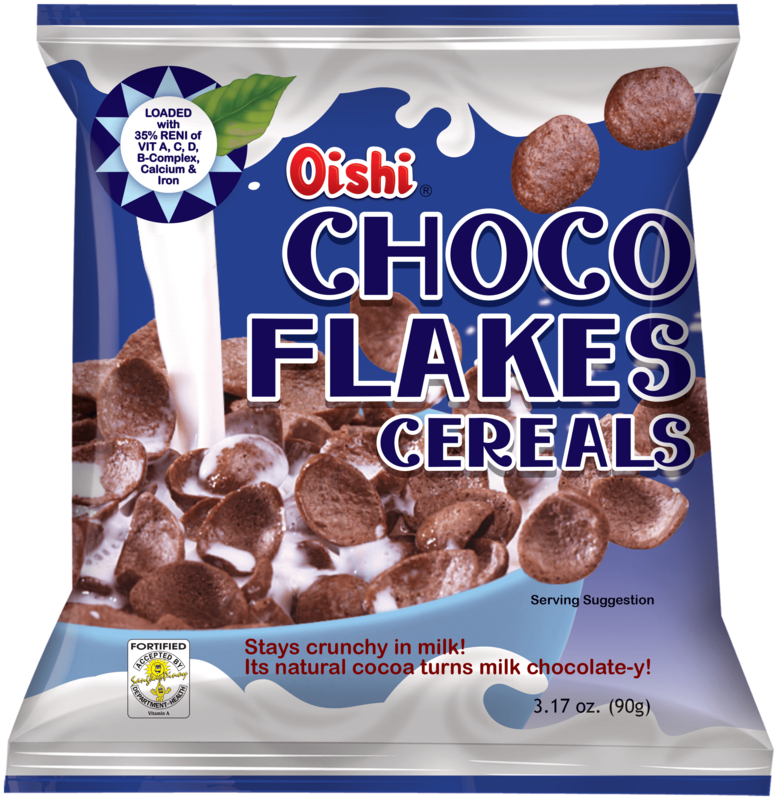 Stays crunchy in milk and turns it to chocolate-y with its natural cocoa! 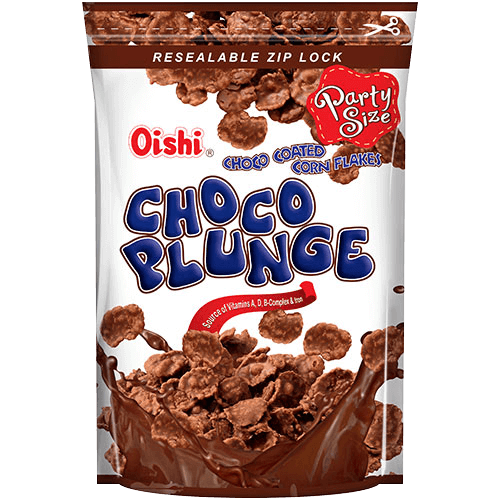 Ingredients: Wheat, Sugar, Corn, Cocoa Powder, Calcium Carbonate, Glucose Syrup, Iodized Salt (Salt with Potassium Iodide), Artificial Flavors (Chocolate, and Vanilla), Palm Olein, Vitamin C (Ascorbic Acid), Soy Lecithin, Vitamin B3 (Niacinamide), Iron, Vitamin B5 (Calcium d-Pantothenate), Vitamin A Palmitate, Vitamin D (Cholecalciferol), Vitamin B6 (Pyridoxine Hydrochloride), Vitamin B12 (Cyanocobalamin), Vitamin B1 (Thiamin), Vitamin B2 (Riboflavin), Vitamin B9 (Folic Acid), and TBHQ (added to retard rancidity). 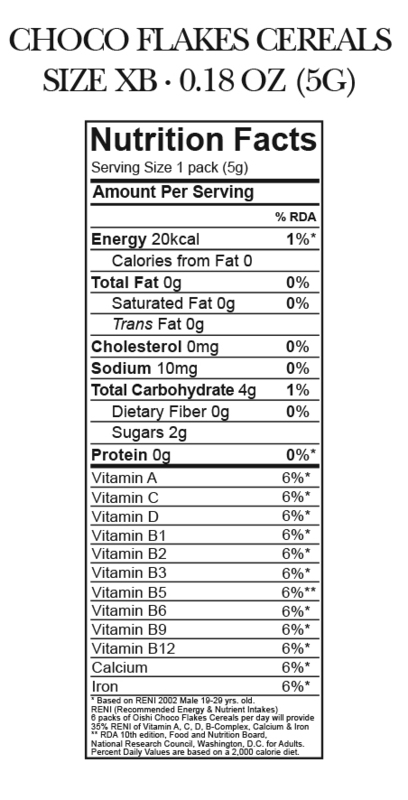 Allergen Information: Contains Wheat, Milk, and Soy. Made on Equipment and/or Facility that also processes Crustacean, Eggs, Fish, Molluscs, Peanuts, and Tree Nuts. 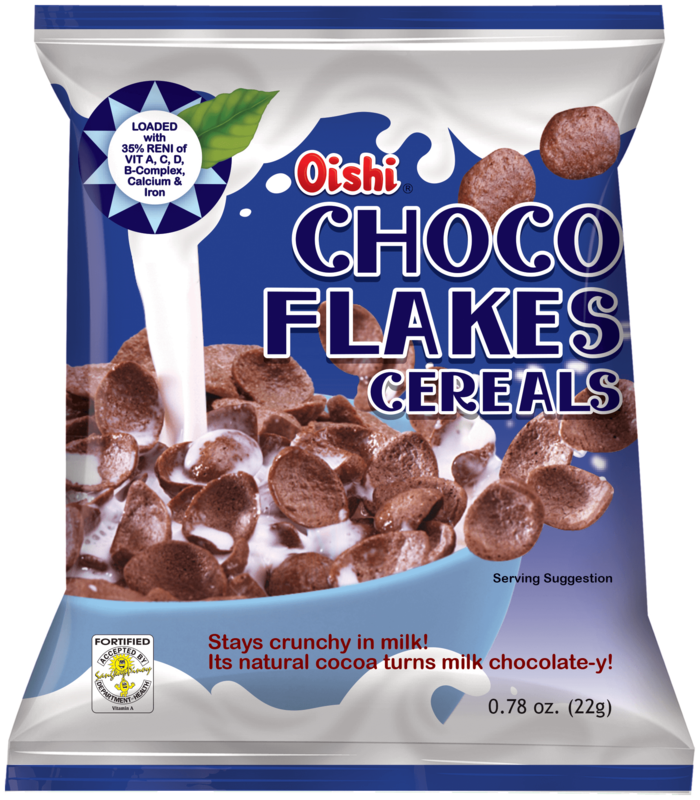 Ingredients: Wheat, Sugar, Corn, Cocoa Powder, Non-Dairy Creamer [Glucose Syrup, Hydrogenated Palm Kernel Oil, Sodium Caseinate, Dipotassium Phosphate (Stabilizer), Mono- and Diglycerides (Emulsifier), Silicon Dioxide (Anti-caking Agent)], Calcium Carbonate (Stabilizer), Glucose Syrup, Iodized Salt (Salt with Potassium Iodide), Artificial Flavors, Palm Olein, Vitamin C (Ascorbic Acid), Soy Lecithin (Emulsifier), Iron, Vitamin B3 (Niacinamide), Vitamin B5 (Calcium d-Pantothenate), Vitamin A Palmitate, Vitamin B12 (Cyanocobalamin), Vitamin D (Cholecalciferol), Vitamin B2 (Riboflavin), Vitamin B6 (Pyridoxine Hydrochloride), Vitamin B1 (Thiamin), Vitamin B9 (Folic Acid), and TBHQ Antioxidant (added to oil to retard rancidity). Allergen Information: Contains Wheat, Milk, and Soy. Made on Equipment and/or Facility that also processes Crustacean, Eggs, Fish, Molluscs, Oats, Peanuts, and Tree Nuts. 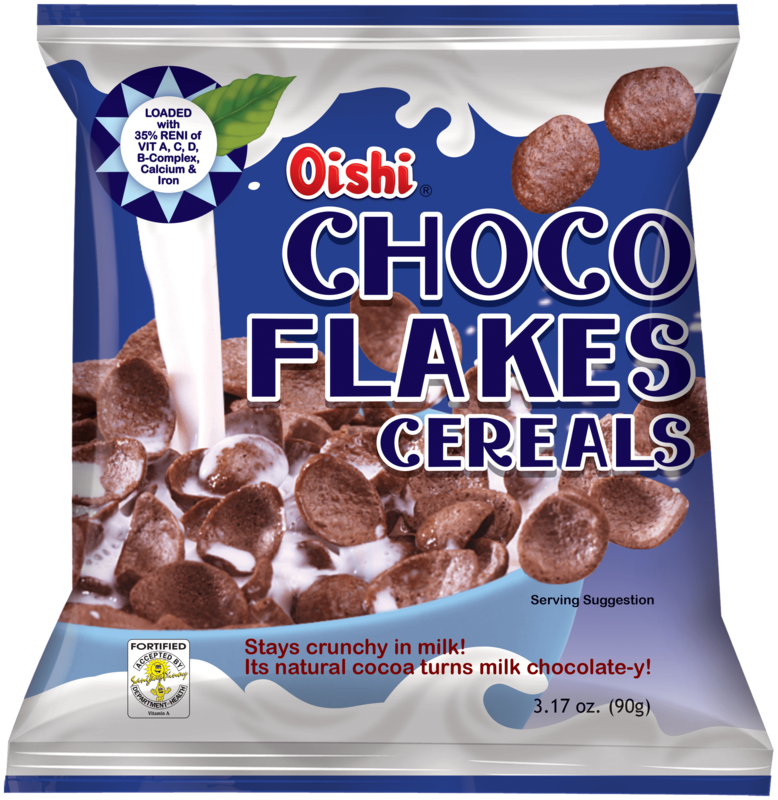 Ingredients: Wheat, Sugar, Corn, Cocoa Powder, Milk Casein, Calcium Carbonate, Glucose Syrup, Iodized Salt (Salt with Potassium Iodide), Artificial Flavors (Chocolate, and Vanilla), Palm Olein, Vitamin C (Ascorbic Acid), Soy Lecithin, Iron, Vitamin B3 (Niacinamide), Vitamin B5 (Calcium d-Pantothenate), Vitamin A Palmitate, Vitamin B12 (Cyanocobalamin), Vitamin D (Cholecalciferol), Vitamin B2 (Riboflavin), Vitamin B6 (Pyridoxine Hydrochloride), Vitamin B1 (Thiamin), Vitamin B9 (Folic Acid), and TBHQ (added to retard rancidity). Allergen Information: Contains Wheat, Milk, and Soy. Made on Equipment and/or Facility that also processes Crustacean, Eggs, Fish, Molluscs, Peanuts, and Tree Nuts.